With mobile technology taking center stage in today's world, organizations are keen to make significant advancements in the mobile space. As mobile technology keeps customers connected all the time, enterprises are moving beyond the desktop to keep in touch with their customer's needs. Armia Systems offers mobile/tablet application solutions that help organizations communicate with their customers through mobile devices. Leveraging our industry expertise and technical background, we design and build mobile applications that are user-friendly and facilitate quick data processing. 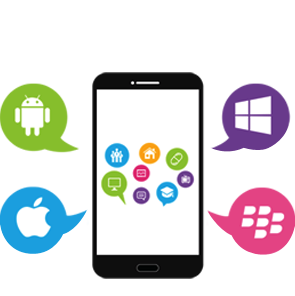 Our expertise is in creating mobile applications that communicate with existing or new web applications. We have developed mobile apps for consumers and business applications. We usually do not undertake mobile games. 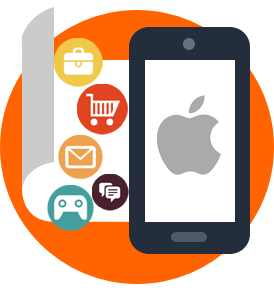 We have developed custom iPhone/iPad based mobile applications, Android solutions, along with hybrid mobile frameworks. Contact us to review past apps we have developed in your industry. iOS apps work with both Apple iPhones and iPads. Our developers create native iOS apps in Objective C, C# or Swift, based on the architecture and requirements of the app. Usually, the web applications and API will be developed in parallel if it’s required. In the past, we have developed on-demand apps, e-commerce apps, routing apps, scheduler apps, audio/video apps, educational apps and social apps for our clients in different industries. Armia Systems approaches native Google Android application development in a proactive, high-caliber manner. 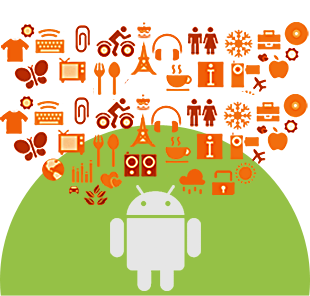 Utilizing the complex Google Android SDK platform, our application developers explore the unlimited possibilities of Android through its comprehensive set of development tools. We create innovative, dynamic applications for devices. This includes GPS trackers, wearable device apps, organizers, media players, picture editors, schedulers, enterprise apps, food delivery apps, on-demand apps, e-commerce applications, and social media applications. The Windows mobile platform is the compact version of the powerful desktop Windows operating system. This gives developers the scalability and variety of options in developing customized applications. 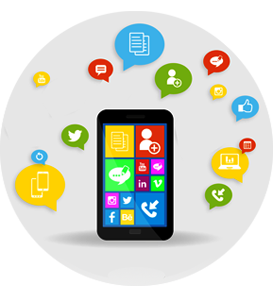 Armia Systems has experts in Windows-based mobile application development. In many cases, it would be advantageous to create a mobile app using a hybrid framework like PhoneGap, Ionic or React Native. This enables development of the app once in the framework and deploys to both Apple and Android platforms without further development. Overall, most applications would see a savings of 40% in efforts when using a hybrid framework instead of native apps in iOS and Android. Advanced hybrid platforms like React hybrid app platform from Facebook makes the final quality of the app close to native apps. In addition to mobile applications, we can also create mobile-optimized websites and applications. This is a great route when you are developing a web application or even a website to create a companion website for smartphone users. Our developers usually use HTML5 to develop browser-based apps for mobile devices. Progressive Web App (PWA) is an alternative to native apps when you feel the need for native mobile apps are not justified. 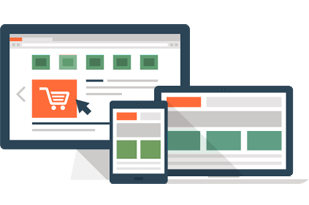 Our developers can help to create PWA with your website functions.